Aimmune Therapeutics announced earlier this week that the phase 3 European clinical trial for AR101 met its primary efficacy endpoint and they plan to present full results at the European Academy of Allergy and Clinical Immunology Congress in early June. Data from the AR101 Trial in Europe Measuring oral Immunotherapy Success (ARTEMIS) show that that the proportion of AR101-treated patients who tolerated a 1000 mg dose of peanut protein in a blinded exit challenge after approximately 9 months of treatment was significantly higher than in the placebo group. The median tolerated dose of peanut protein for AR101-treated patients improved 100-fold, from 10 mg at baseline to 1000 mg at exit. The trial exceeded a 15% lower-bound of the 95% confidence interval of the difference between treatment arms for all endpoints. The safety profile and completion rate observed in ARTEMIS are consistent with results seen in previous AR101 trials. Additionally, no cases of anaphylaxis or of eosinophilic esophagitis were observed. The randomized, double-blind, placebo-controlled phase 3 clinical trial enrolled 175 children and adolescents between the age of 4 and 17 years old. Participants came from 18 sites in France, Germany, Ireland, Italy, Spain, Sweden, and the United Kingdom. For the trial, patients underwent approximately 6 months of dose escalation and then 3 months at a daily therapeutic dose of AR101 at 300 mg or placebo. This was followed by an exit double-blind, placebo-controlled food challenge. 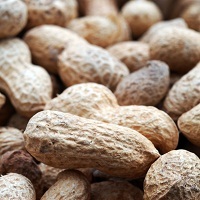 The primary efficacy endpoint was patients’ ability to tolerate a 1000-mg single dose of peanut protein, the equivalent of approximately 3 to 4 peanut kernels. Findings from ARTEMIS reinforce the results from the highest level tested in Aimmune’s phase 3 Peanut Allergy Oral Immunotherapy Study of AR101 for Desensitization in Children and Adults (PALISADE) trial, which found that 50.3% of AR101-treated patients tolerated a single highest dose of 1000 mg of peanut protein after approximately six months of dose escalation follow by six months at a daily therapeutic dose of 300 mg, compared to just 2.4% of placebo patients. Based on these results, Aimmune announce their intention to submit a marketing authorization application for AR101 to the European Medicines Agency in mid-2019. The company submitted a biologics license application (BLA) for AR101 to the US Food and Drug Administration (FDA) in Dec. 2018 and its review by the agency began following the end of the US government shutdown in Jan. 2019. The FDA informed Aimmune that the BLA will be reviewed under a 12-month target review period and, because of this, review of the BLA may take until Jan. 2020. Aimmune is not the only company seeking approval for the first therapy approved for the preventive care of peanut allergy. In February, DBV Technologies announced plans to resubmit a BLA to the FDA for their potential pediatric therapy Viaskin Peanut.Viaskin is an epicutaneous immunotherapy designed as a patch that delivers peanut protein to Langerhans cells. In an interview with MD Magazine® at the American Academy of Allergy, Asthma and Immunology (AAAAI) 2019 Annual Meeting, Drew Bird, MD, associate professor of pediatrics and internal medicine at the University of Texas Southwestern, explained the push from companies to create immunotherapies for treating peanut allergy.